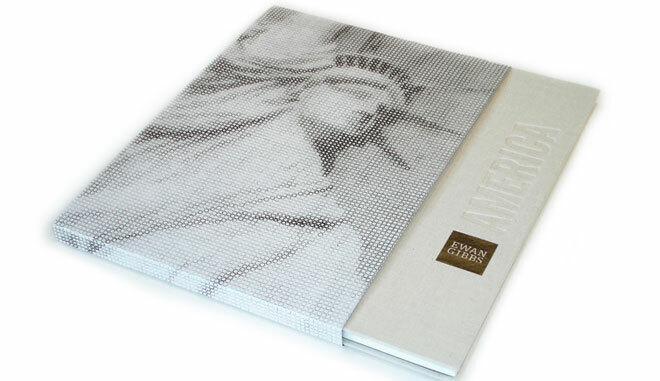 Ewan Gibbs : America is the first major publication devoted to the drawings of the acclaimed British artist.This 102-page survey of Gibbs' drawings was produced using a duotone process to simulate the values of the artist's pencil and pen marks. 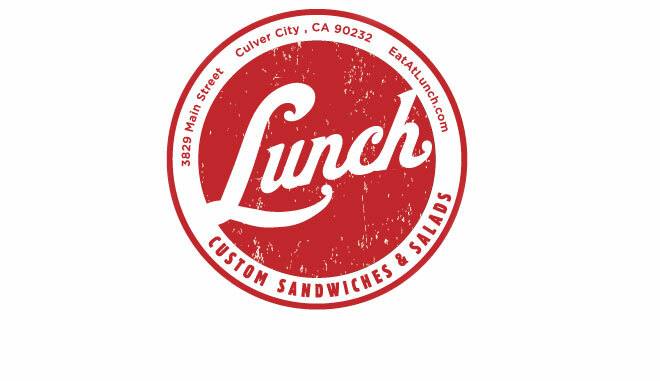 This Los Angeles area eatery owned a clever name and engaged The North State to create an identity matching their spirited energy. The evocatively retro logomark was recognized with a Gold Addy Award in 2010. 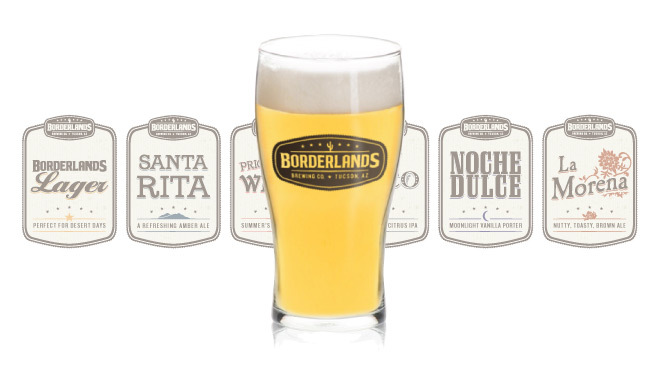 Borderlands reached out to The North State to create the branding for their craft beer start-up. The founders understood that the success of their brewery required a smart and creative image for their brewery and the presentation of their beer products. As a multi-faceted media organization, Los Angeles-based Riverphlo Entertainment enlisted The North State to create an identity that would distinguish their productions in an increasingly competitive industry. 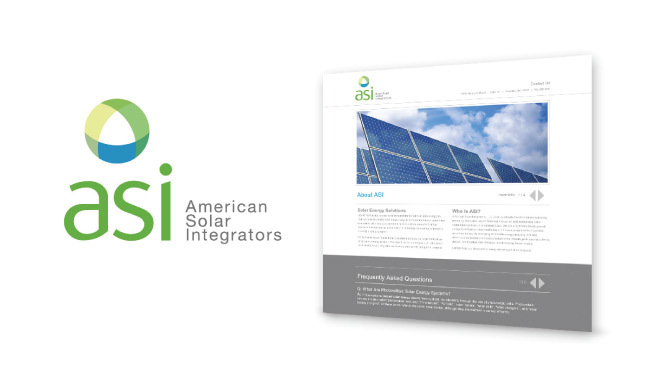 ASI (American Solar Integrators) is an alternative energy developer, specializing in solar technology. A modern and progressive typeface paired with the convergent mark signifies the company's ability to simplify, unite, and implement very complicated processes to assist in the acquisition of alternative energy solutions. 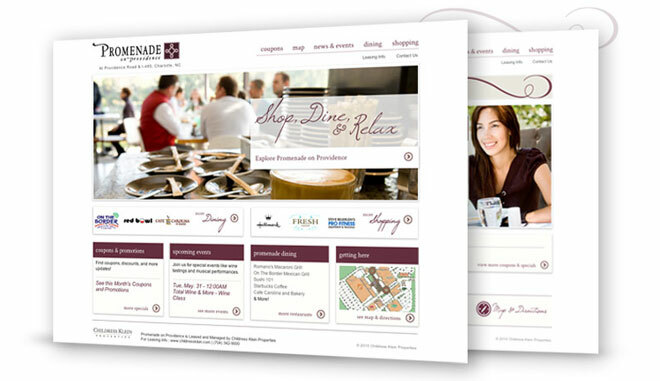 To reinvigorate the online presence for the Promenade on Providence shopping center, a new and upbeat website focuses upon the lifestyle of the audience. 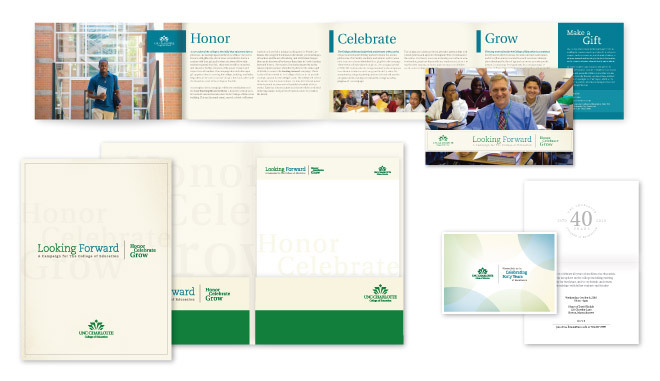 The fundraising campaign for UNC Charlotte's College of Education required a design approach that conveyed a shared sense of optimism and appreciation in the core themes of "Honor, Celebrate, & Grow."